Printmaking is an extra ordinary broad and flexible medium which is constantly reviewing itself - endlessly inventive". 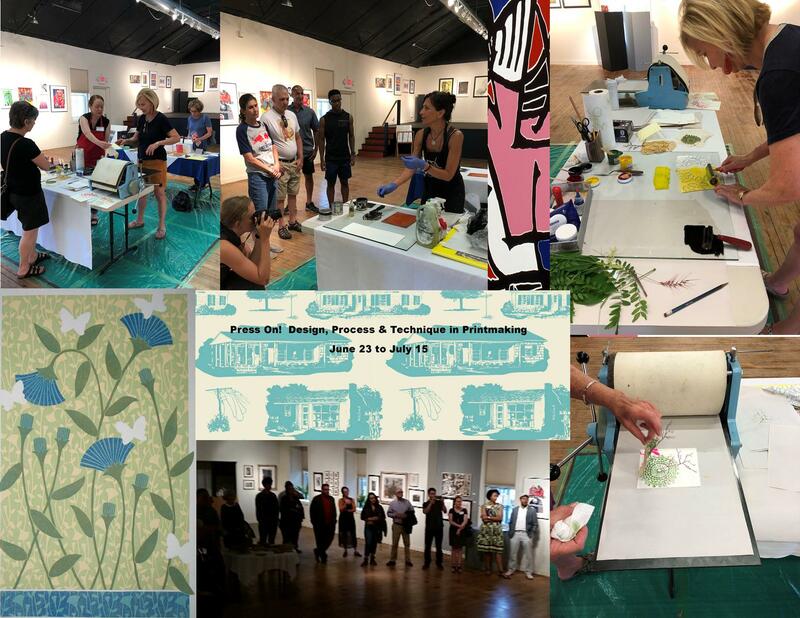 New Hope Arts Center hosts its inaugural print exhibition, PressOn! Design, Process, & Technique in Printmaking opening June 23. Curated by New Hope Arts gallerist, Sandra Harris, art works selected for the exhibition are designed to draw attention to the diversity, richness, and complexity of printmaking as a medium and its ability to convey concepts, ideas, emotion. A variety of printmaking techniques are included -lithography, etching, relief printing, serigraphs, creating a body of work which deserves thoughtful examination. Press On! showcases 21 accomplished, award winning artists who have been featured in juried exhibitions as well as solo and group shows both nationally and internationally. They are in public and private collections including The Detroit Institute of Art, the Newport Museum of Art, the National Art Gallery of Namiba and the Herbert T, Johnson Collection at Cornell University. Many are educators and creators who have been published. Several exhibiting artists are affiliated with regional arts organizationsa, incuding the Artists of Yardley, Artworks Trenton, InLiquid, Frontline Arts.